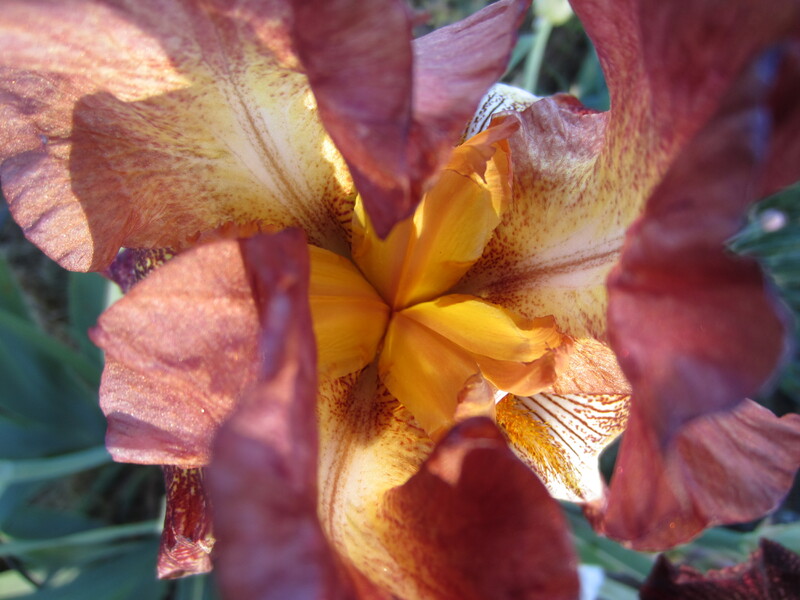 I didn’t always love Irises. I spent most of my life hardly noticing them. I thought of myself as more of a Peony kind of person. Now, I can hardly take my eyes off of them, the bearded kind, that is. I guess they first caught my eye when they came with a plot I had in a community garden, a massive community garden in the San Fernando Valley. I gardened the plot with my mom. When we could no longer commit to taking care of the space and decided to leave, I dug up a few tubers that produced a frilly, peach flower. This one to be exact. Then, here is what happened. 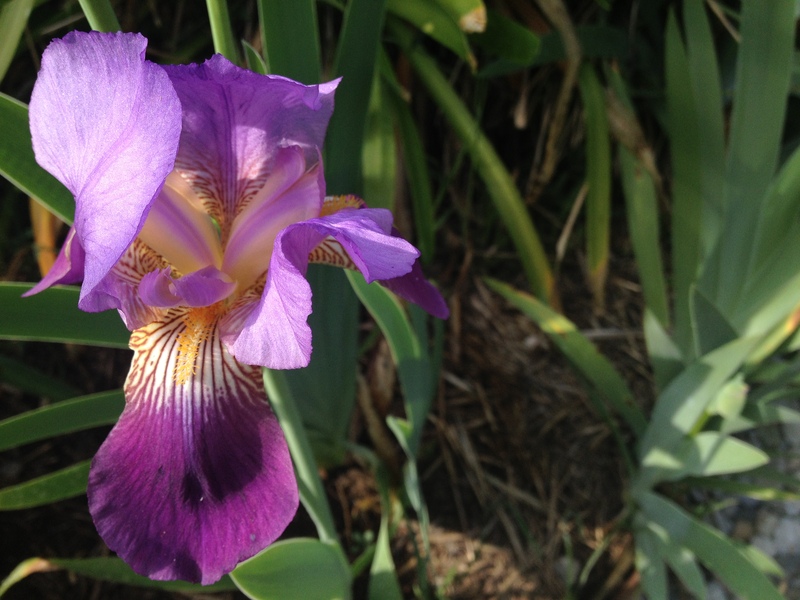 After a couple of years of watching my Irises blooming every spring, I started noticing other people’s Irises; The ones that emerge in the front yard of the house just before the stop sign; The ones that have come up in the garden plot a few plots down from mine; The ones I spy at our local botanical garden…. For me words cannot describe these exquisite flowers, so I took some photos. These showy flowers are beautiful and drought tolerant, which makes them perfect for a Southern California garden. Once they are established they really take care of themselves. I have a few bunches that only get the water that falls from the sky, and they do just a well as those located near irrigation. 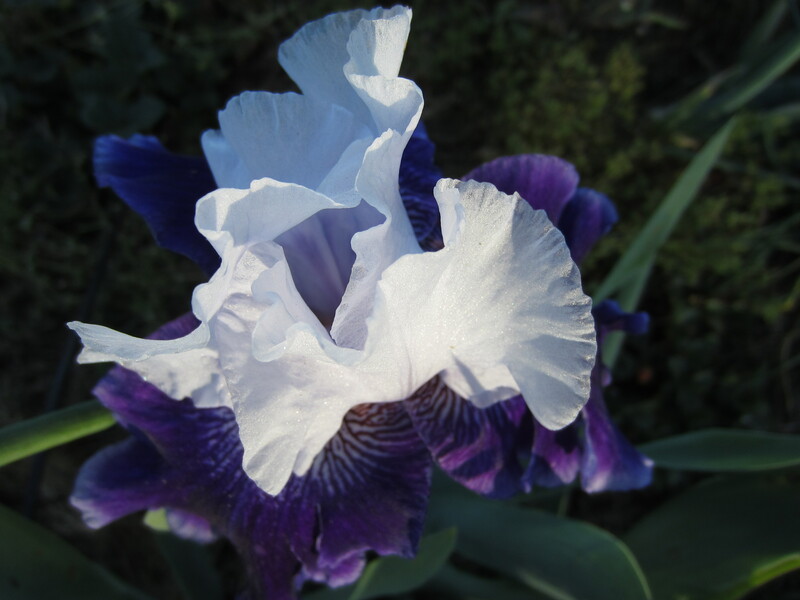 Last fall I bought my first Iris, called Chenille. It hasn’t given me a flower yet. I am crossing my fingers I don’t have to wait until next spring to remember what it looks like. Your Irises are so beautiful! I also have some varieties in my garden. 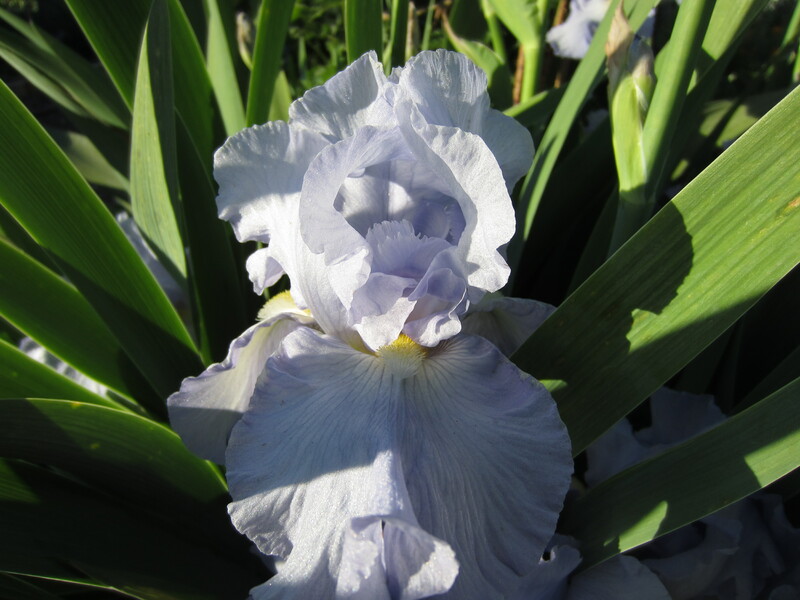 I am looking for reblooming Irises to plant, they will keep blooming from spring to fall! Thanks! 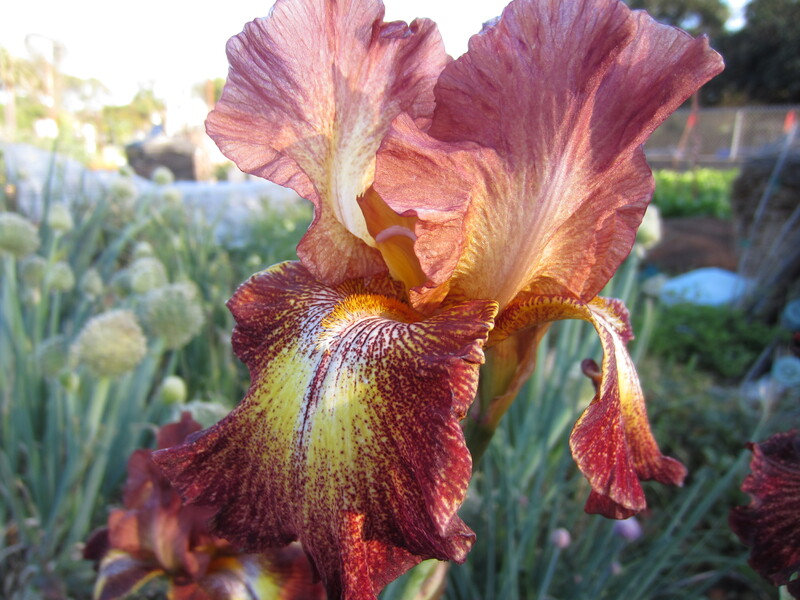 It is just recently that I have even heard of reblooming Irises. I would love to have a few of those. I wonder how they would do in my dry climate? I will have to look into it. 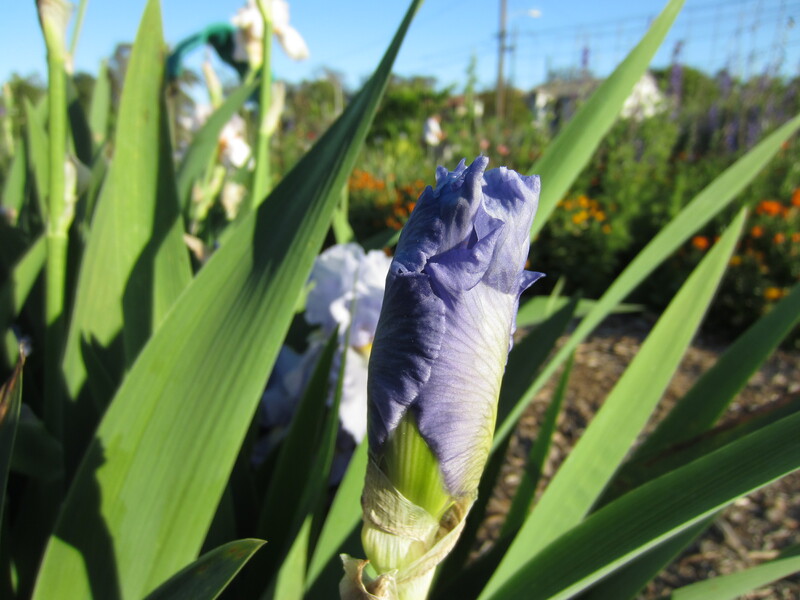 Irises are drought tolerant plant, their rhizomes store the water and nutrients.– plus they are all toxic so animals will leave them alone! Beautiful, Jessica! 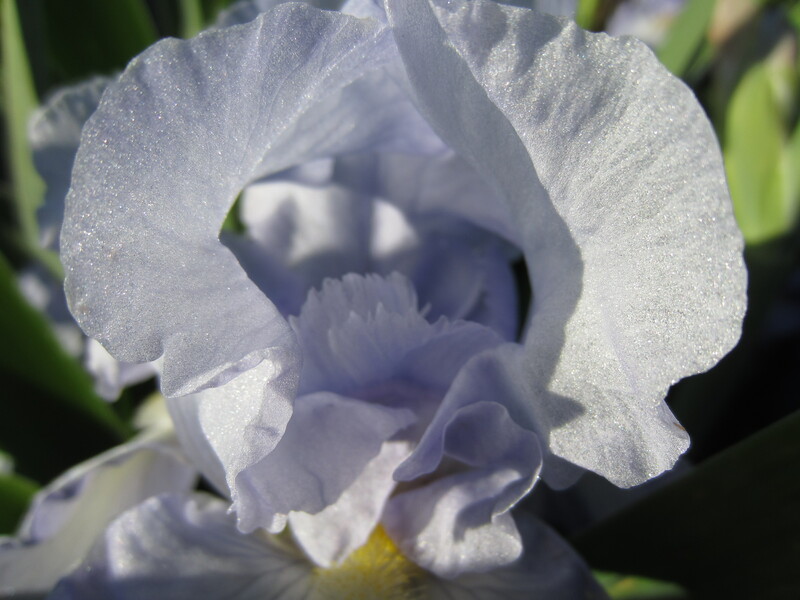 You know I love irises too. Most of the varieties I bought last year are rebloomers. They don’t bloom continuously from spring to fall; instead, they bloom in the spring, go partially dormant, then bloom again in the fall. I have some spectacular varieties now and will be able to share them with you in a couple year. Also, I have a lot of spuria iris (they look like yellow and white dutch iris) that are super drought tolerant too. I’ll divide them up this summer and you’re welcome to have some, if you like. 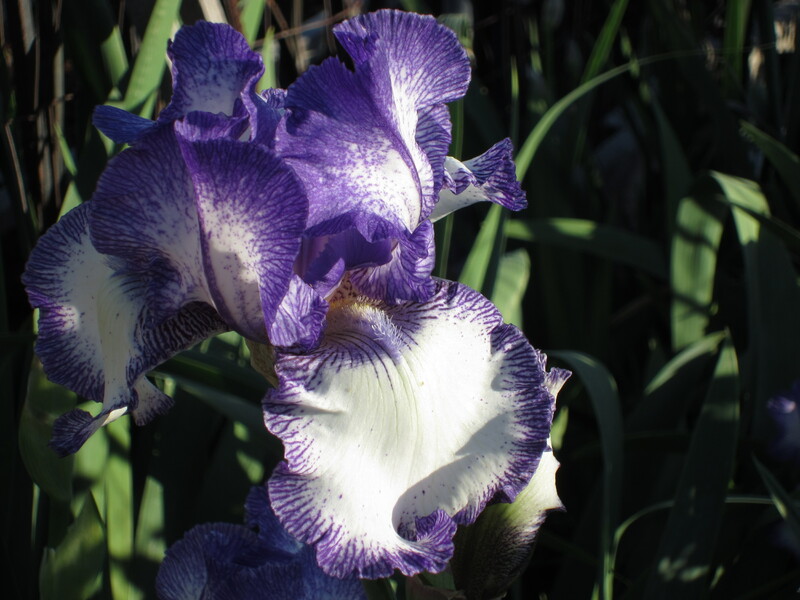 We have loads and loads of Irises around the house here growing wild of a variety of color. The problem this year is that April has been so cold they are only a foot tall with no flowers yet. 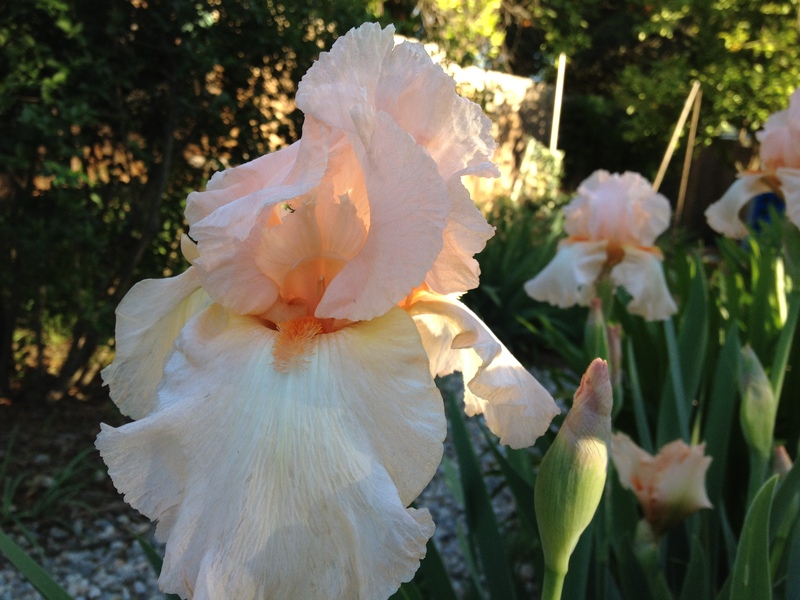 Irises are a flower that “grows on you.” It seems I have had Irises all of my life and they become like home.